"Schools are facing real challenges in retaining and developing their teachers, with growing pupil numbers and tighter budgets. The trends over time and variation between schools are concerning, and there is a risk that the pressure on teachers will grow. Since having enough high-quality teachers is essential to the effective operation of the school system, these are issues that the Department needs to address urgently." 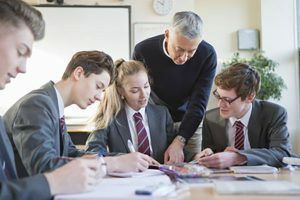 The Department for Education cannot demonstrate that its efforts to improve teacher retention and quality are having a positive impact and are value for money, according to the National Audit Office. Schools spend around £21 billion a year on their teaching workforce. In its March 2016 white paper, Educational Excellence Everywhere, the Department set out its ambition to have ‘great teachers everywhere they are needed’. Overall, the number of teachers in state-funded schools increased by 15,500 (3.5%) between 2010 and 2016. However, the number of secondary school teachers fell by 10,800 (4.9%) over the same period and secondary schools face significant challenges to keep pace with rising pupil numbers. Today’s report found more teachers are now leaving before retirement than five years ago, and schools are finding it difficult to fill posts with the quality of teachers they need. In 2016, 34,910 teachers (8.1% of the qualified workforce) left for reasons other than retirement. According to an NAO survey, 67% of school leaders reported that workload is a barrier to teacher retention. The Department’s own survey found classroom teachers and middle leaders worked, on average, 54.4 hours during the reference week in March 2016, including the weekend. The Department published an action plan in response to its survey, but has not set out how it expects teacher workload to change. According to the NAO survey of school leaders, schools filled only half of their vacancies with teachers with the experience and expertise required, and in around a tenth of cases, schools did not fill the vacancy at all. There are also regional variations in the supply of teachers, with the North East having the lowest proportion of schools reporting at least one vacancy (16.4% of secondary schools), while Outer London (30.4%) and the South East (26.4%) had the highest. However, today’s report also found that a greater number of qualified teachers are returning to state-funded schools, and the Department and schools have scope to attract back even more teachers who have left and benefit from the investment made in their training. In 2016, 14,200 teachers returned to work in state-funded schools, an increase of 1,110 on 2011. The Department believes that the quality of teaching is more important to pupil outcomes than anything else a school can control. In 2016 90% of primary pupils and 82% of secondary pupils were in schools where Ofsted rated the quality of teaching, learning and assessment as good or outstanding. However, the number of pupils being taught in schools where Ofsted rated teaching, learning and assessment as requires improvement or inadequate varied greatly across the country. This ranged from 9% in London to 26% in Yorkshire and the Humber. The proportion of pupils in secondary schools rated as inadequate in this respect increased with deprivation. While we previously reported that the Department spent £555 million on training and supporting new teachers in 2013/14, we found that it spent only £35.7 million in 2016-17 on programmes for teacher development and retention, of which £91,000 was aimed at improving teacher retention. Schools have reported that time and cost are barriers to improving teacher quality. Data are not systematically collected on how much continuing professional development teachers undertake, but a survey found that teachers in England spent four days a year on professional development in 2013, compared with an average of 10.5 days across 36 other countries. The need for schools to make significant workplace efficiency savings is likely to make it more difficult for them to support teachers’ development. The Department is taking steps to improve teacher retention and quality, for example by helping establish the Chartered College of Teaching as an independent professional body for teachers. It also plans to increase spending on teacher development programmes to around £70 million annually over the next three years. However, the Department still lacks data on local supply and demand and cannot show that its interventions are improving teacher retention, deployment and quality.